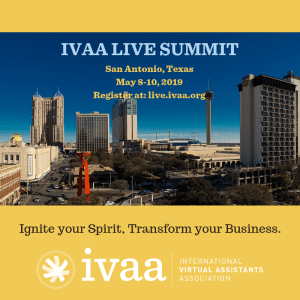 IVAA’s Preferred Partners offer IVAA members 20% discounts (or $100 value) for their products and services, just click on the highlighted links for more information. (Note: You must be a member of IVAA to access this information.) Are you a business that would be interested in becoming a Preferred Partner? Simply click here to access our guidelines. Ready? Then simply fill in this application. If you have questions, contact benefits@ivaa.org. Rhonda Scharf ON THE RIGHT TRACK – Training & Consulting Inc.
25 % off all coaching packages, hourly coaching, and membership tiers. IVAA members who sign up for any of the above programs will also receive two free e-books of their choice.